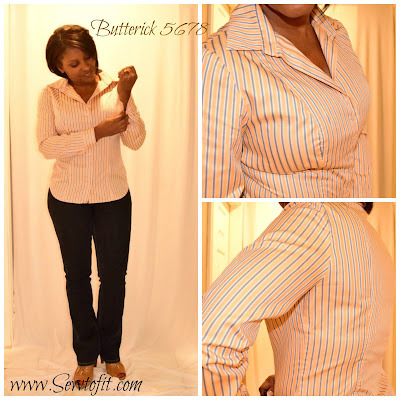 Butterick 5678- Shirt fever still going strong. Happy Friday my sewing friends. I am quickly falling back into my days of button down shirts and t-shirts. 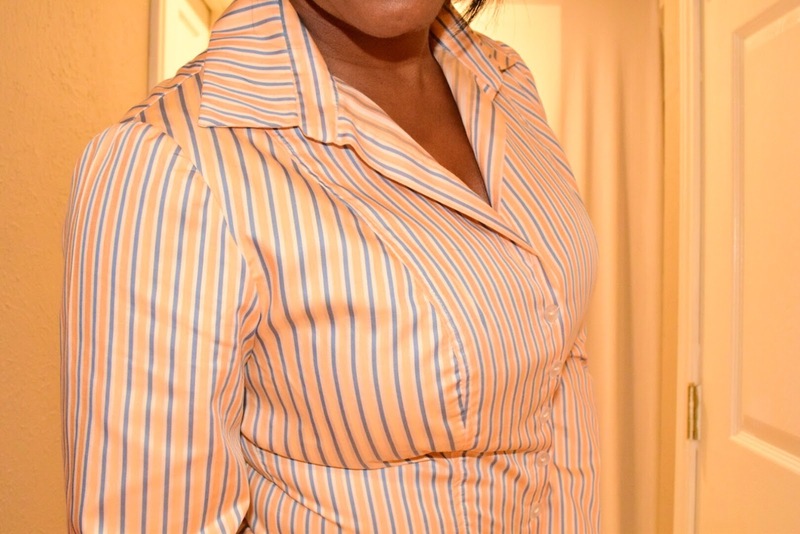 With shirts being my true love. I keep trying to force myself to sew up a few blouses. You know the ones you must pull over your head. Well it’s not working for me. 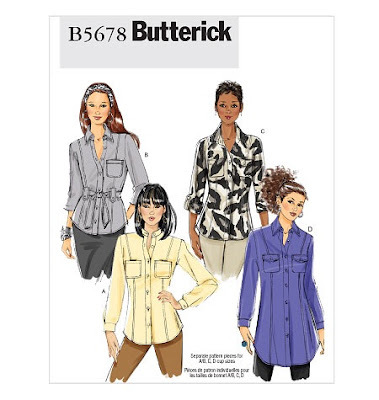 This is probably one of the best shirt patterns put out by Butterick, but they in their infinite wisdom decided to discontinue this version. WHY!! @mccallspatterncompany would you do that???!?! Doesn’t really make since to me. Especially, since it’s a cup sized pattern and is a great design for many figure types. With princess seaming and the best sleeve inset and sleeve cap ease I have found, this is a dream to sew. 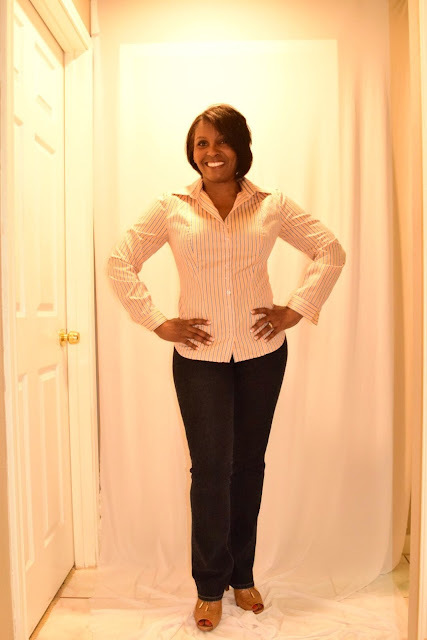 It comes with patch pockets, plackets, sleeve applets and other details that would make a great cargo shirt as well as a terrific military style shirt. So why did it go away. Fitting wise this was easy. I cut a straight size 14 and used the D cup front piece and added a tad bit for a broad back at the blades and the. Did a sway back adjustment of only 3/8″. 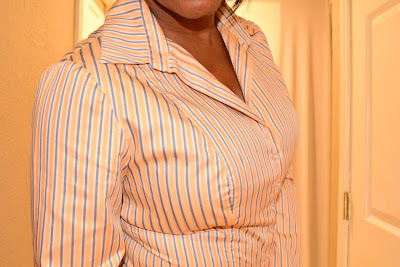 Of course for this fitted shirt pockets dos not work on those mounds we call bust. I I took them off and will opt for pockets on a more moderately fitted shirt. I am so glad is traced and secured this pattern for use in the future. They should bring it back real fast and in a hurry before there is an uprising in the sewing community. Let’s wave our flags with this picture to get them to hear our cry. Until net time. Keep sewing. Here is a great dress that could easily be used as a comfortable run-about dress, or add some heels and you have a sultry little number for date night. I made it with a foil printed cotton lycra. Size 18 hips from waist down. Removed 2″ from center back along elastic opening. Lowered the from neckline 2inches. 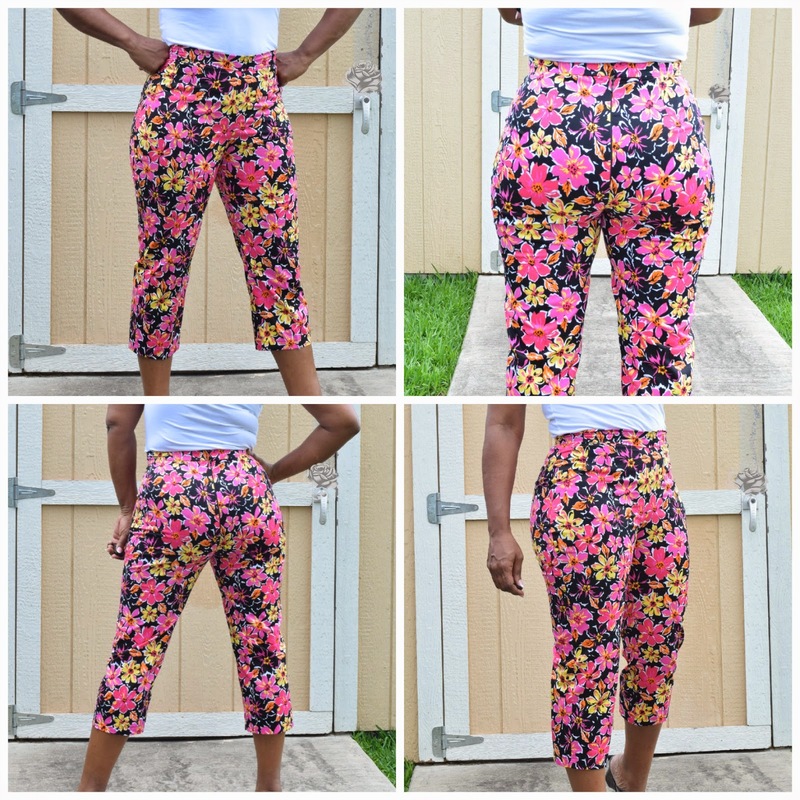 These are my entry for the Pattern Review “Fitted Pant Contest” that ends on June 9th. I have been wanting a pair of crop pants for quite sometime now, so this was a perfect time to force me to make a pair. Entering a contest is not something I normally do, however, after meeting so many fantastic ladies at the PR Weekend in Austin at the start of May, I couldn’t resist participating. I used the Butterick 5895 pattern. 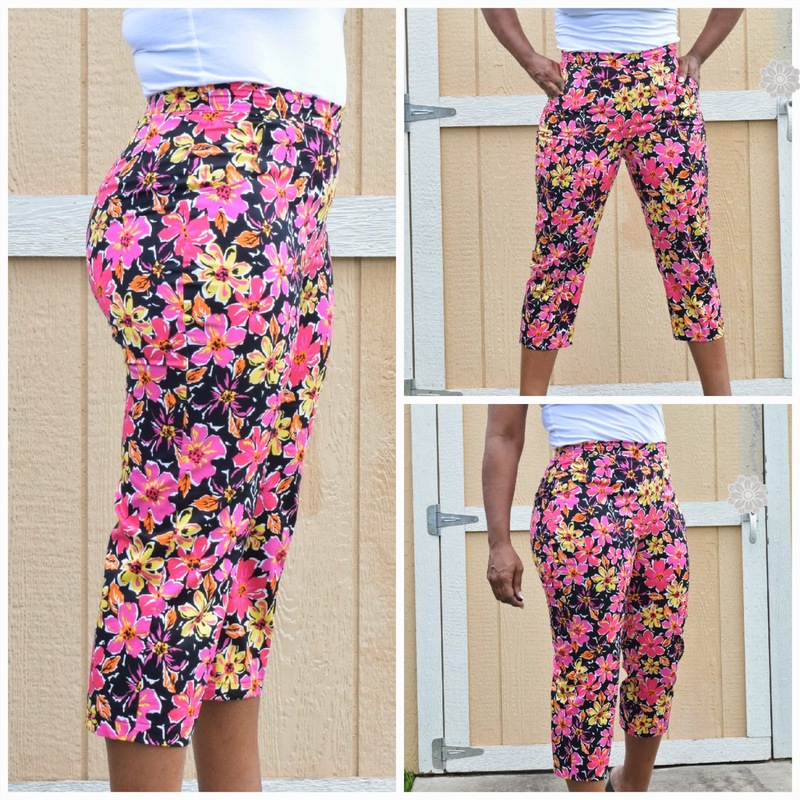 Fitted cotton crop pants with high waist and tapered to hem. Has optional roll-up hem. Back zipper, side front pockets and hook closure. 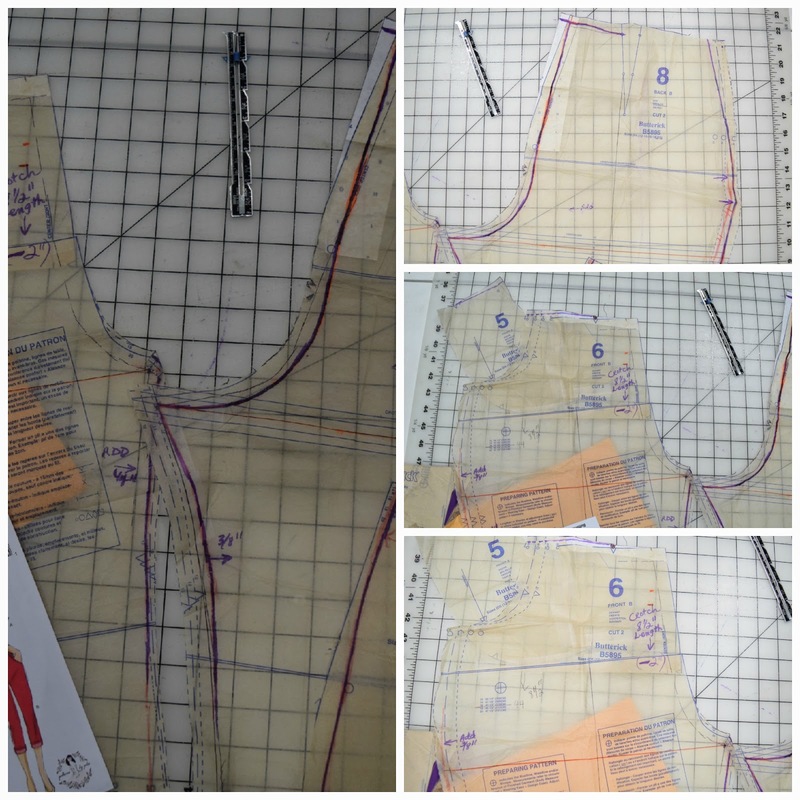 I cut a size 16 and graded the waist to a 14. Did it look like the photo/drawing on the pattern envelope once you were done sewing with it?Yes, actually it did. Extremely easy. I only checked the instructions to make sure I didn’t miss anything. I chose not to topstitch the crotch seam. I hemmed 1 inch instead of 5/8. What did you particularly like or dislike about the pattern?The front rise is extremely “High.” I know I usually have to lower mine on all patterns, but I think since this one is considered high waist, then it was over 2.5″ too much for me. My front crotch is 8.5″ navel to crotch curve. Fabric Used: Cotton, with 15% stretch only, I think that is too generous. When I tested the stretch factor is stretched 1″ pass the 4″ test length. Thus, I am not considering this a stretch woven. Back crotch- did not have to increase like normal, the back was already pretty high for my build. Front/back thigh: increased the front over the upper thigh by 1″ to straighten the side seam, thereby, removing said amount from the back pattern piece. Pocket opening: trimmed 1/4″ from the front pocket top in order to shorten it so that it wouldn’t fold out. I will be making another pair in a solid color. 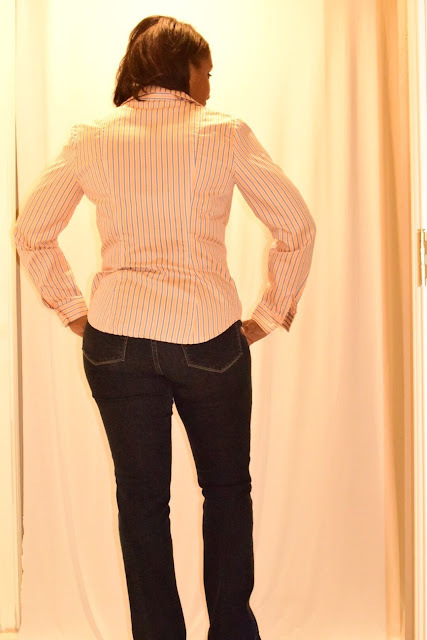 I don’t know why they called these jeans on the pattern description, they are not jeans. Other than that, this would make a great basic pattern from which to create any type of crop pants.